One of the recipe sites I follow is Inn at the Crossroads. Not only does it have a great recipe listing, it also discusses medieval recipes. And as a huge bonus, it’s a site dedicated to the dishes in George R.R. Martin’s A Song of Ice and Fire series. How awesome is that?? I had been eyeing one of their recipes for some time, the Peppercrab Stew. I love spicy stuff, and I love crabs! Unfortunately, I have a fatal allergy with crabs (yes, fatal). Fortunately, the recipe allows substitution using crabsticks, which I can safely eat. 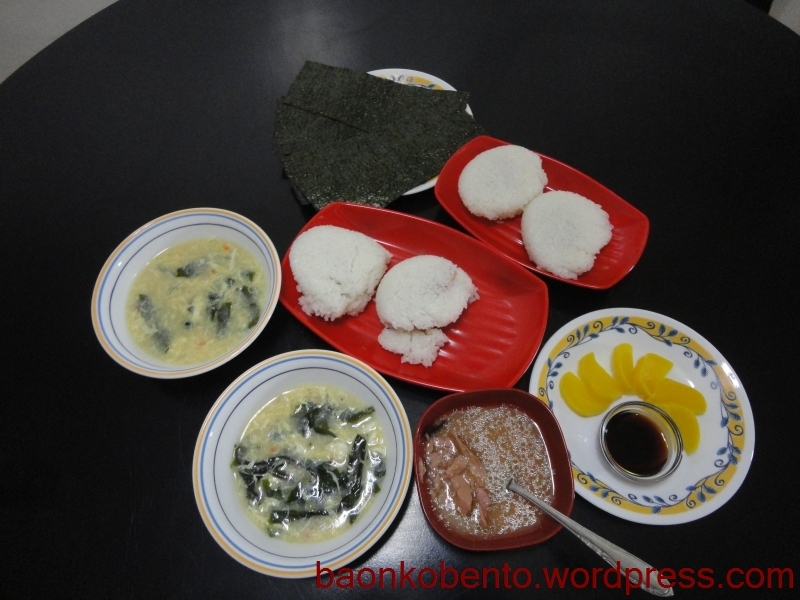 Once I had gathered all the necessary ingredients, I tried out the recipe. 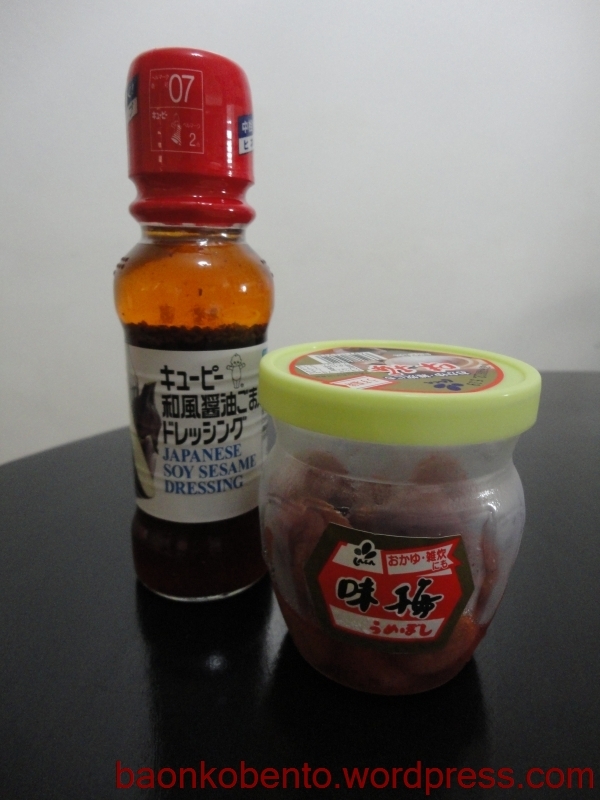 I used up an entire 250g pack of crabstick, 3 cups of dashi stock, and a huge chopped up finger chili. 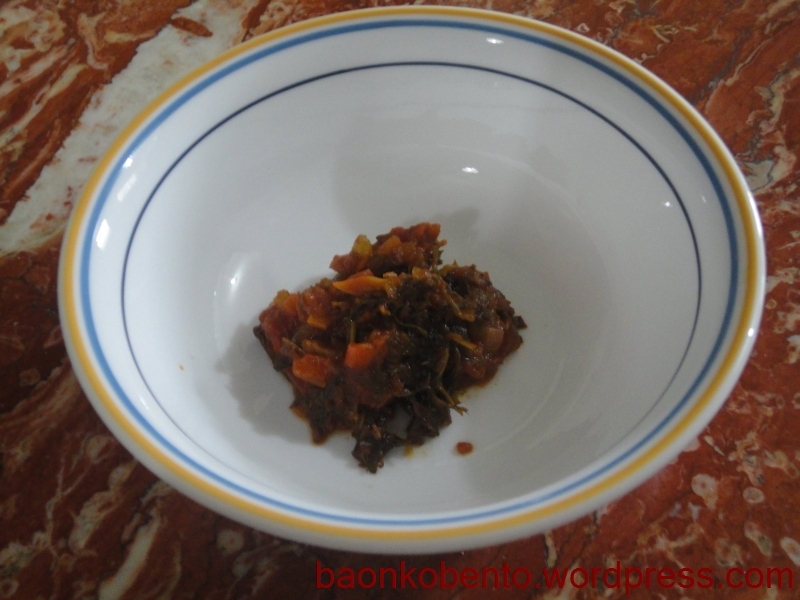 I kept to the prescribed 1/4 cup dried wakame and 1 small chopped onion. I used preground black pepper to season the crabsticks. When I was in the simmering stage, I felt like I did not have enough liquid, so I put in another cup of water (I ran out of stock). How did it turn out? Pretty awesome! 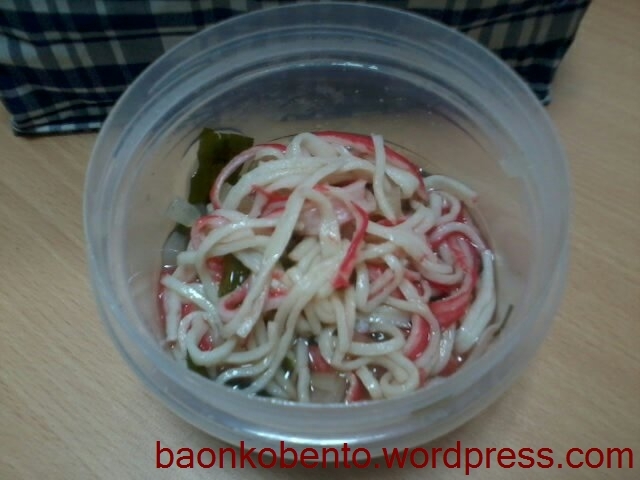 I can clearly taste the finger chili, and the black pepper was infused into the crabstick strands. I did feel like there were still too much crabstick compared to the rest of the ingredients. My husband liked the dish too (and he’s not really a huge fan of soup) and suggested adding thin japanese noodles to the soup (probably soumen) which I will be trying the next time I make this. 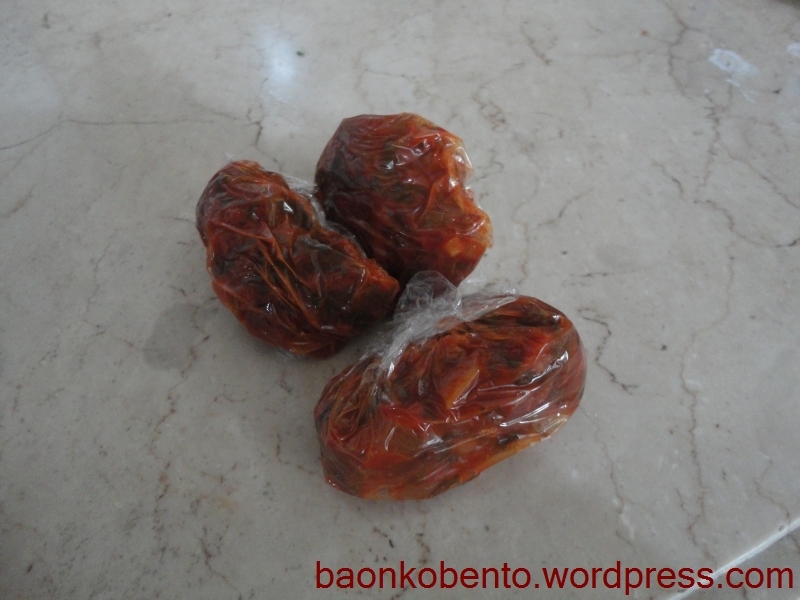 I even tried it as baon (see photo above) just to see how it can stand the test of reheating. It performed pretty well, and tasted as if it was freshly cooked. It went really well with rice, and I felt myself craving more of the stew. Here’s a close up of the stew. Oh yes, you read that right. 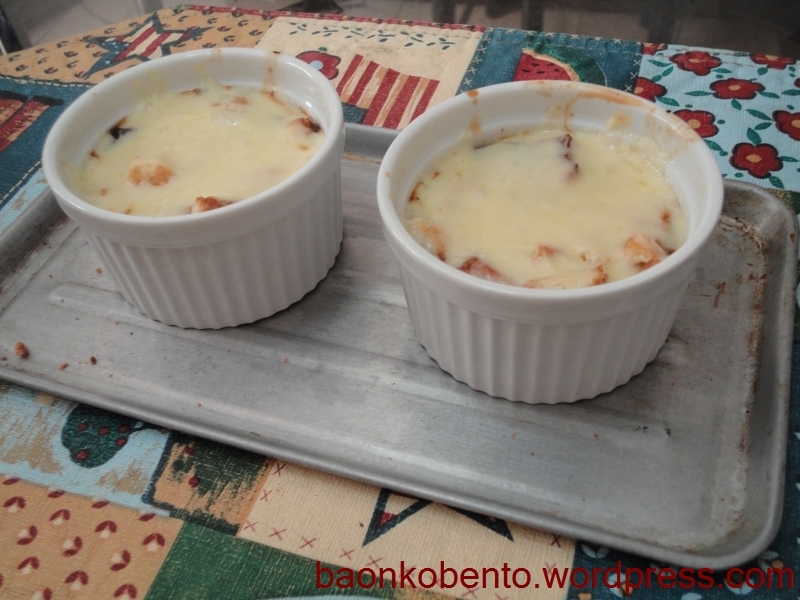 I have finally achieved the craving I’ve been having for the longest time: French Onion Soup! I think I started craving for it around February or March, and I have been looking for restaurants that serve it but it has all been in vain. I didn’t really dare try it at home because of the length of time the onions will spend sweating and cooking, and that’d produce a lot of smoke. Finally today, I was able to try it at my mom’s place (which has better ventilation). The recipe comes from one of the funniest food bloggers I follow, SoupAddict. I made a lot of changes to the recipe. I didn’t have any white wine, so I used sake instead. 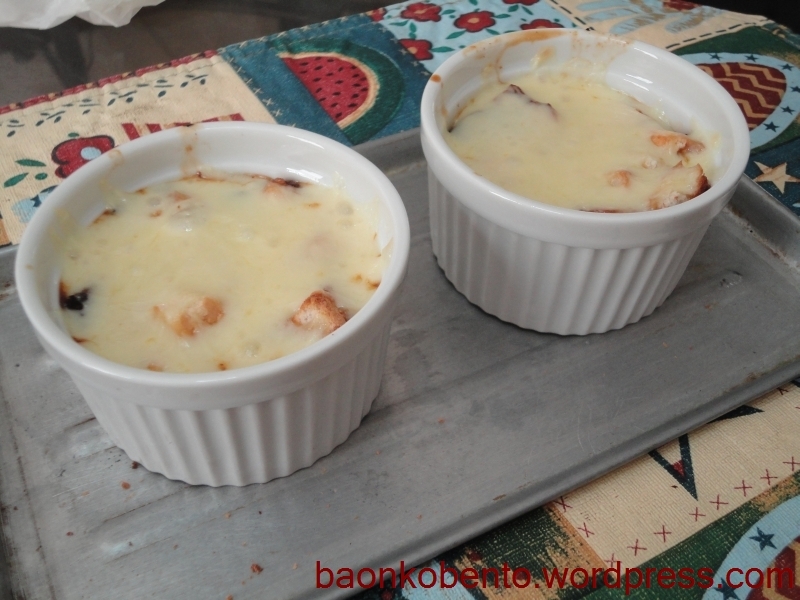 I also used cornstarch dissolved in a bit of water instead of flour; omitted the brandy; used mozzarella and toasted loaf bread sliced into squares; and used an oven toaster to melt the cheese, instead of a full oven. The glazing time of the onions was also reduced to about an hour because they were getting a bit burnt already. To be brutally honest, I wasn’t expecting a lot from this experiment. Primarily because I felt I deviated too much from the original recipe, and that some of the onion bits were really dark and almost black. The taste of the sake was also a bit strong when it was on the simmering soup stage. I plunged on ahead and completed the recipe. My mom and I bravely took our first spoonful. And we were floored! It was awesome! Creamy with cheese and the toasted bread soaked up the soup, it felt like we were eating a high class dish. I highly recommend trying this at least once in your life. Trust me, it’s worth all that trouble. Amazing. 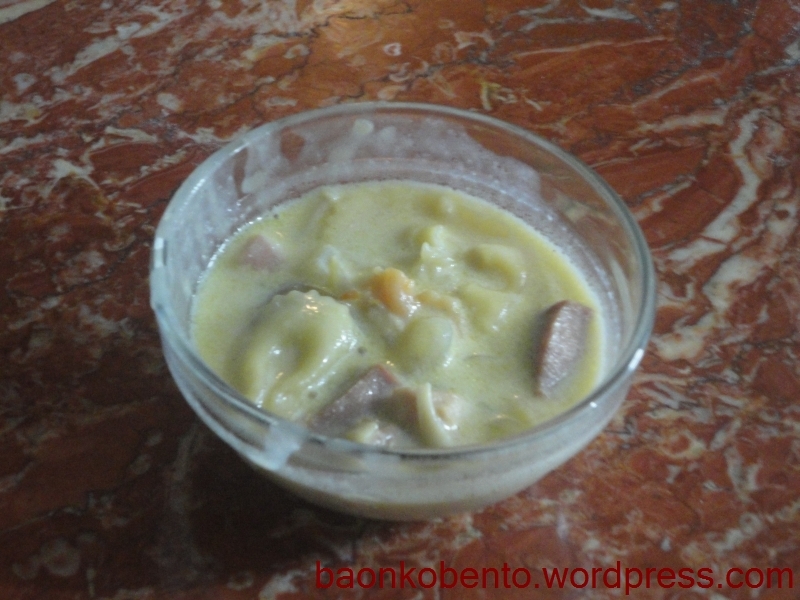 The Philippine term sopas refers to a soupy dish that usually has chicken or pork components, as well as some sort of macaroni or short pasta. When I was a kid, I’m usually served sopas whenever I’m sick. It -is- some sort of chicken soup, and in general I am very fond of soup. I’ve been meaning to share this recipe for sometime now, but it always seems to slip my mind. And it’s not because I’ve not been making this. Quite the opposite, in fact! 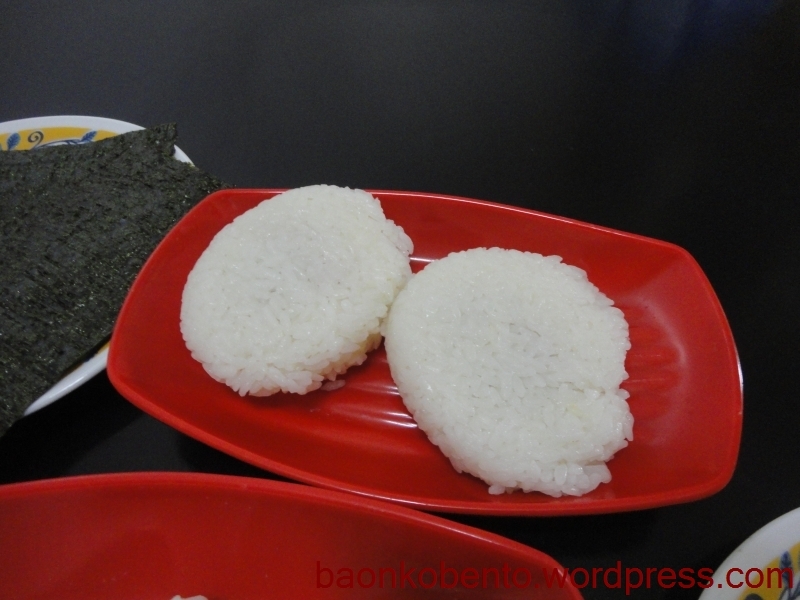 This recipe is very versatile, easy to make, and relatively quick, and it makes a perfect baon too! Just a bit of introduction: I got this recipe from my friend and coworker Seth, who has developed this over the years by trying out different variations and component brands. Now perfected, it became her trademark dish and is always in demand among her friends. I got permission to share it on my blog so you can try it out too. 1. Saute garlic in a little oil until golden brown. Immediately add the onions. Saute until onions are a little limp. 2. Add the meat, uncooked macaroni, and any optional vegetables. 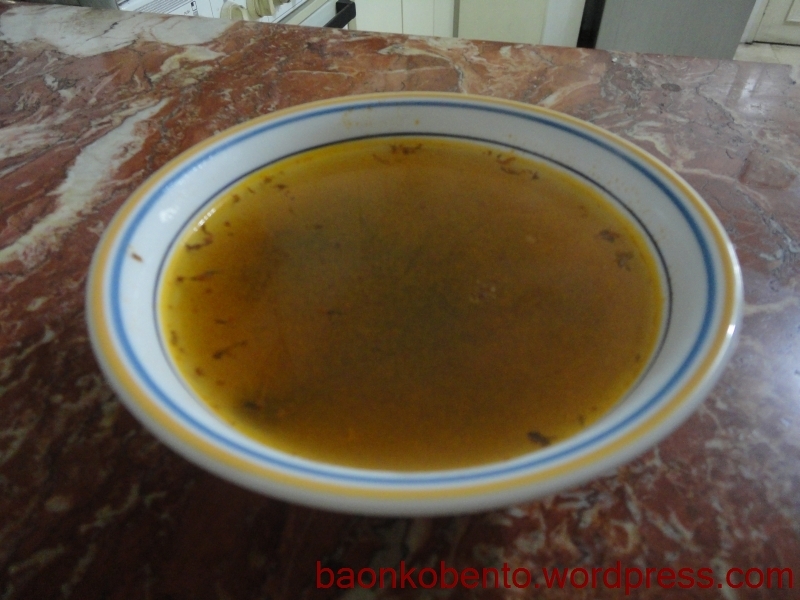 Melt one bouillon cube in the oil, and toss to coat everything with the melted cube. 3. Add the chicken broth if using, otherwise just add enough water to cover everything. Bring to boil and simmer until the macaroni and meat are cooked and the liquid is mostly evaporated. 4. Slowly pour in the evaporated milk. Add salt and pepper to taste. Mix thoroughly and turn off heat. 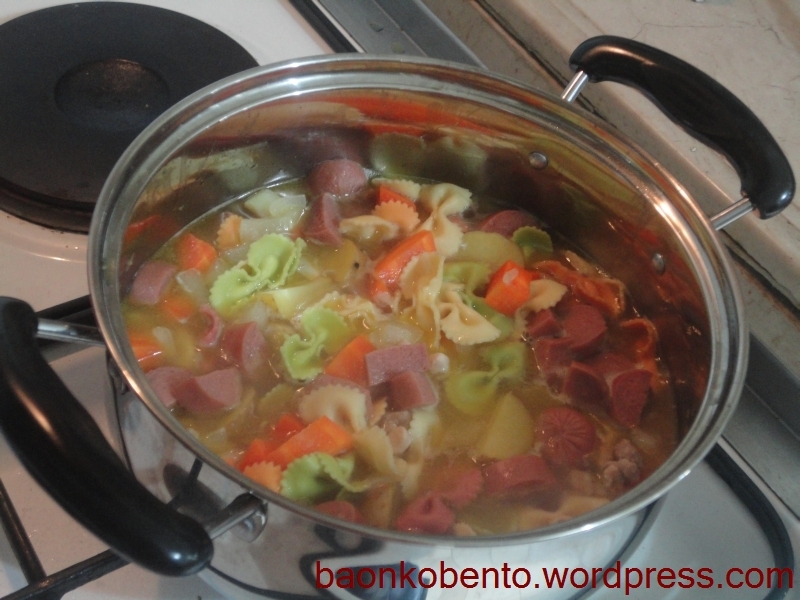 Here I used homemade vegetable stock and a pack of cute colorful vegetable bowtie pasta. – The original recipe actually called for boiling chicken parts until the flesh is soft enough to pull off the bones. The chicken flesh is shredded before being added to the pot, and the water used to boil becomes the broth to be used in the sopas. I almost never did this except the first time I tried the recipe because it uses up so much time. I find that pre-ground supermarket chicken is a good substitute, and I use any broth I have on hand. – Leftover sopas keeps well in the fridge for around a week. I haven’t tried freezing this. – I usually cook up a batch on my rest day, pack in 1 serving-sized containers, and throw them all in the fridge. I just grab a container for baon for the day (I usually have separate containers for rice or side dishes). 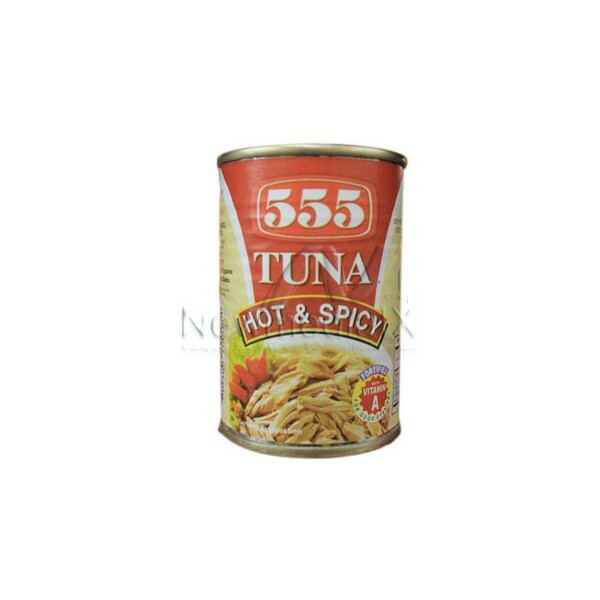 It’s great as baon food, especially if there’s microwave at work. – There is a lot of room for variety here. As you can see, I threw in some enoki mushrooms I had lurking in the fridge and it was a great addition! You can add almost any vegetables, a combination of diced/ground meat, fresh or reconstituted dried mushrooms, probably even tofu (I haven’t tried this). You can even go as minimal as you want! I once tried a pure-veggie sopas, and it was still as satisfying. – Why Angel’s brand? I have been told to use that, and it does taste better than if I use other brands. Perhaps it’s sweeter? Try it and find out for yourself! I managed to eat three small bowlfuls of this batch of sopas I made. I wanted to take a break from desserts for a while. I decided I wanted to go back to food that would go well in a bento. 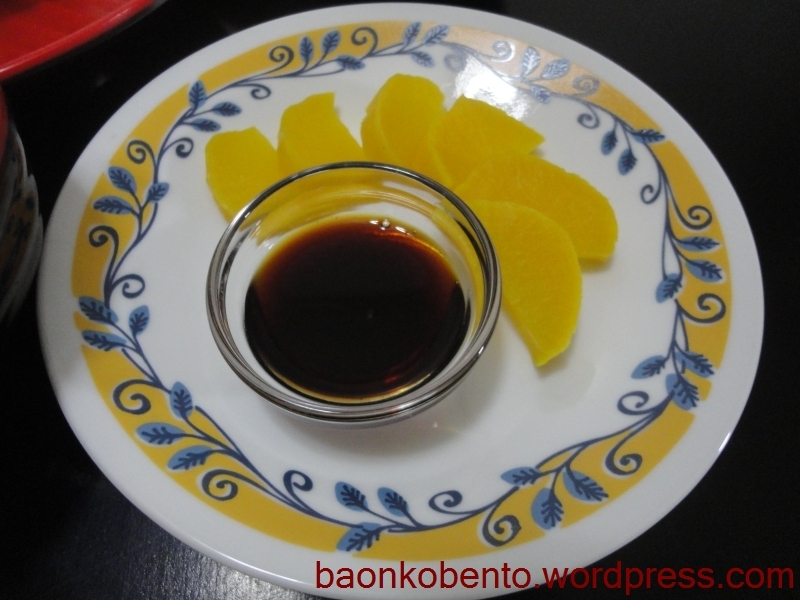 In my default bento reference site, JustBento, I found an intriguing recipe for Mediterranean veggie soup concentrate. I said, why not? It seemed like a good idea because 1) I like soup! 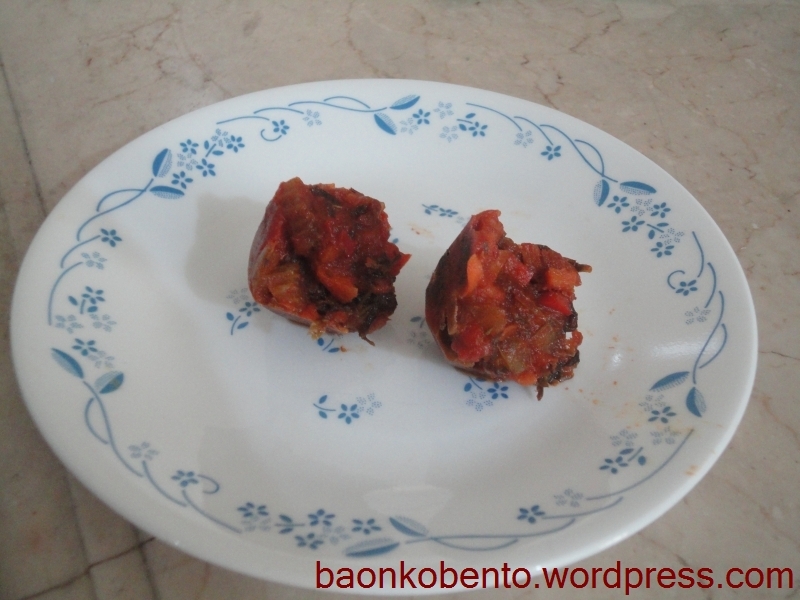 2) it promises to store well when frozen and 3) it’s on JustBento. The first thing that hit me was that it’s going to be using things that I don’t normally use: parsley, celery, tomato paste.. It even listed fennel, but I didn’t even bother looking for that. 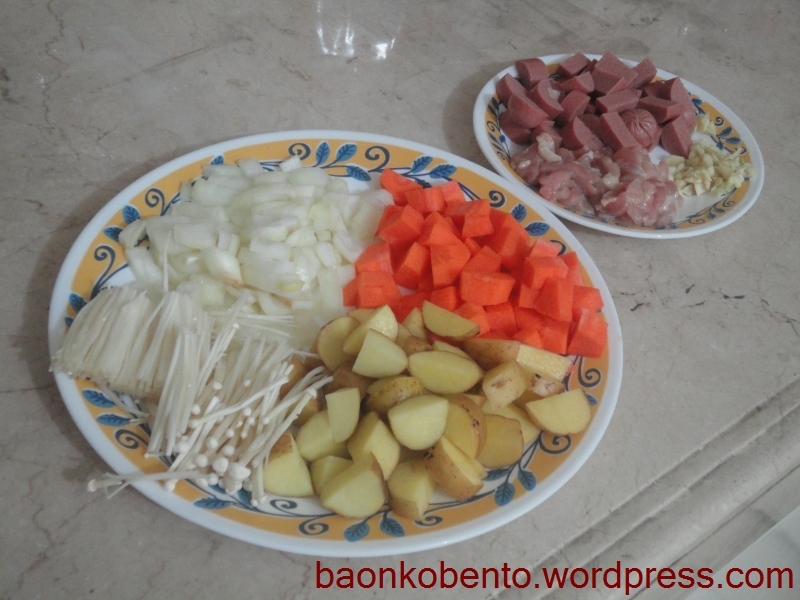 The second thing was that most of the effort on this dish was going to be in the chopping of the vegetables. I suppose if one had a food processor of some sort it’d be much easier. I had to rely only on my good old knife. The third thing was that this isn’t a fast dish at all. The reduction of the mixture would take some time, and it did. This is a dish that needs to be prepared way ahead of time. Very watery soup, tbh. I think a mug of soup is too much for just 2 tbs of veggie mixture. I added a tablespoon more mixture to balance it out a bit. What about the taste, you ask? It’s very interesting! I haven’t had this kind of taste before. The flavor of the parsley (or was it the celery?) 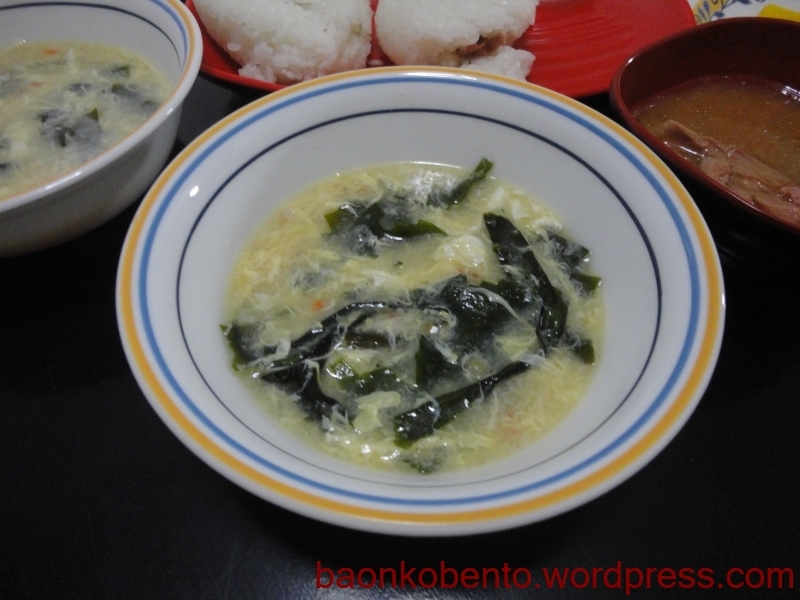 is strong throughout the soup, but you can taste the rest of the vegetables. 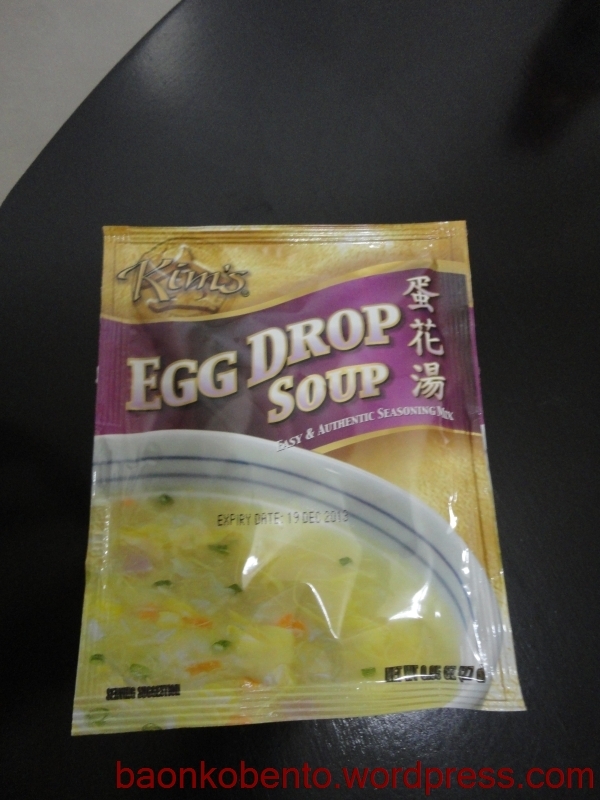 It’s certainly very healthy, and will conveniently give me a dose of veggies AND soup whenever I have baon. I’ll put in less water though, since I do want to keep the serving size to just 2 tbs. Now that’s more like it! It’s definitely more attractive than a shapeless blob in cling wrap. Not to mention, it’s also environment-friendly since you don’t have to use all that plastic. I’ll be on the hunt for a larger tray so I can put in 2 tbs per cube.